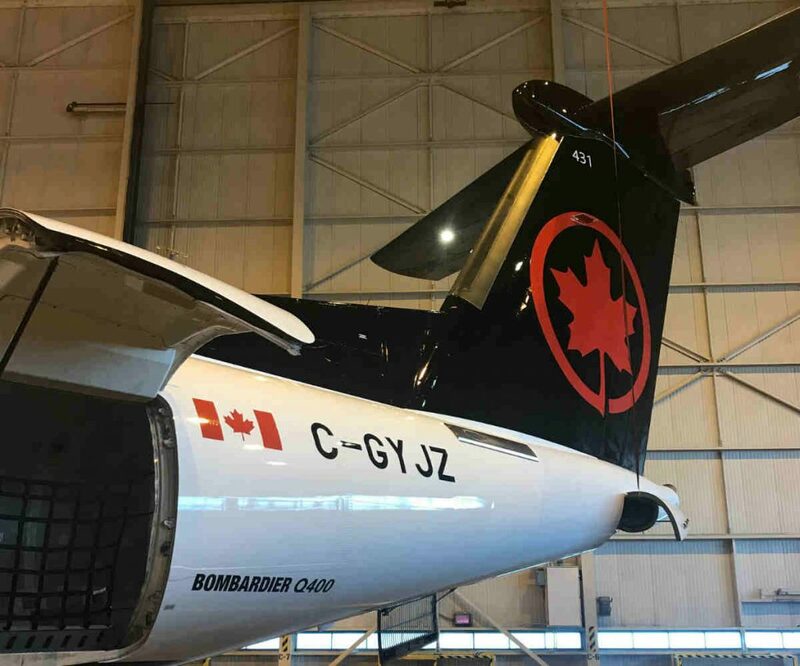 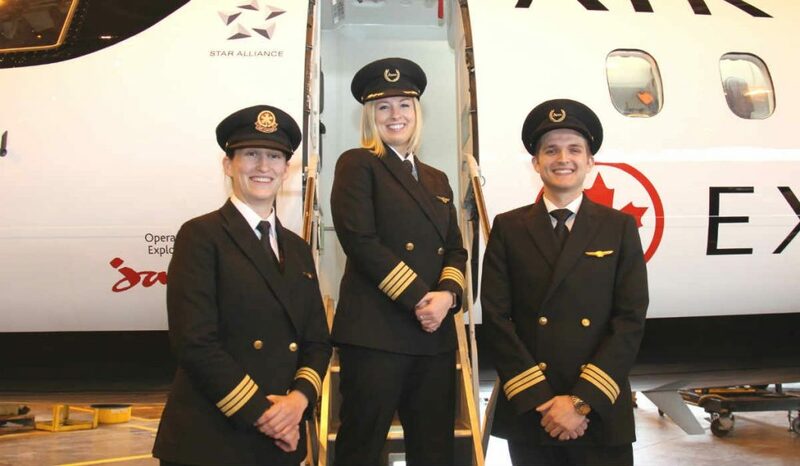 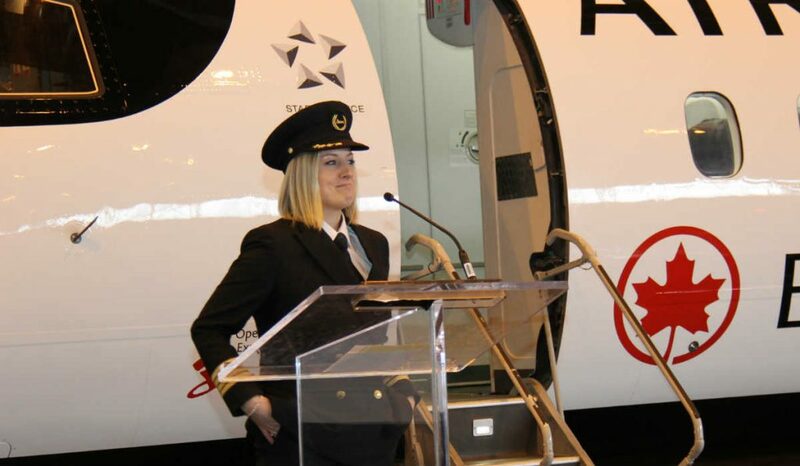 A highlight of the CIA Toronto event was the display of a Jazz Q400 aircraft, featuring a two-week old paint job that provided one of the first viewings of Air Canada’s new aircraft livery design. 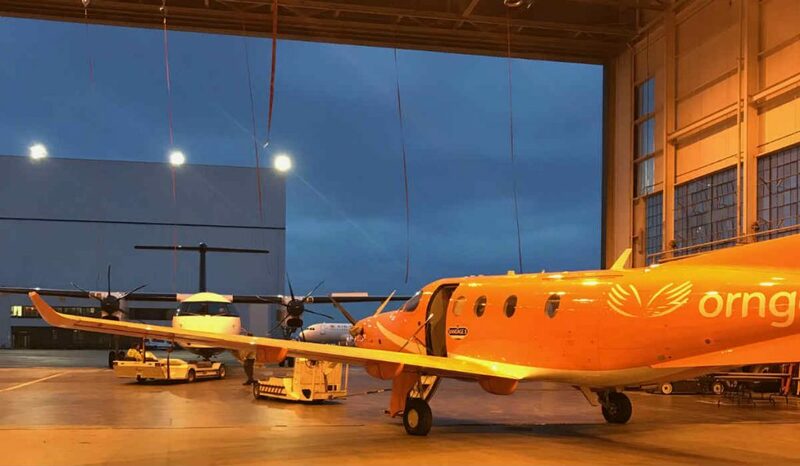 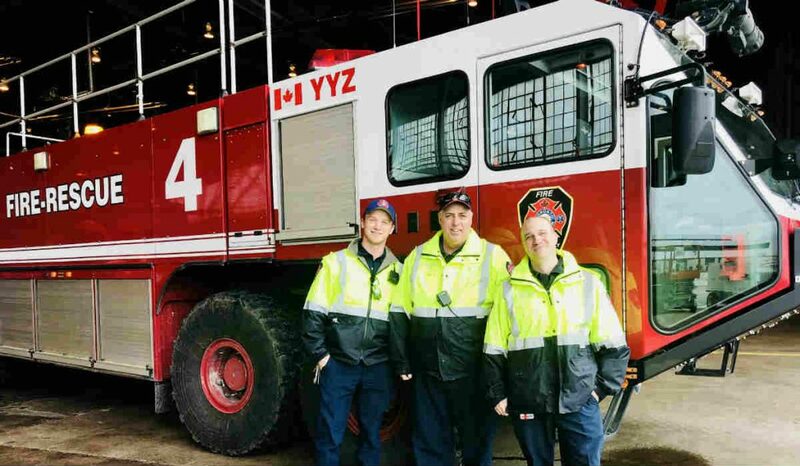 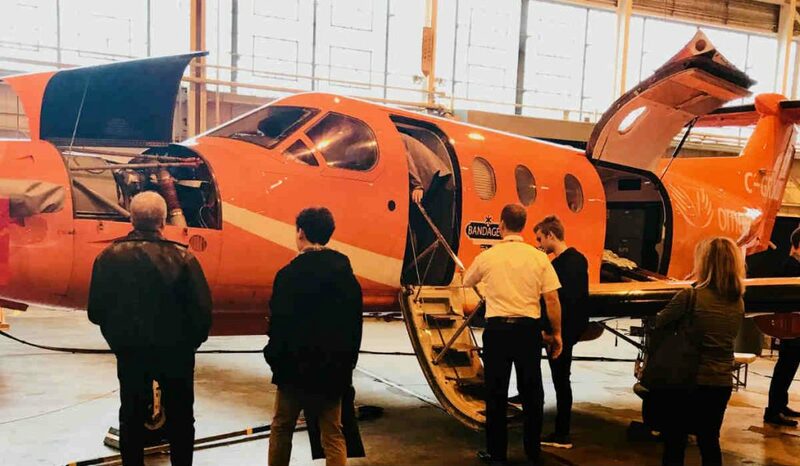 An Ornge PC12 aircraft was also on display for attendees to tour; and just before lunch a hangar door opened for the Greater Toronto Airport Authority to back in one of its medium-sized fire trucks – measuring 70 x 20 feet. 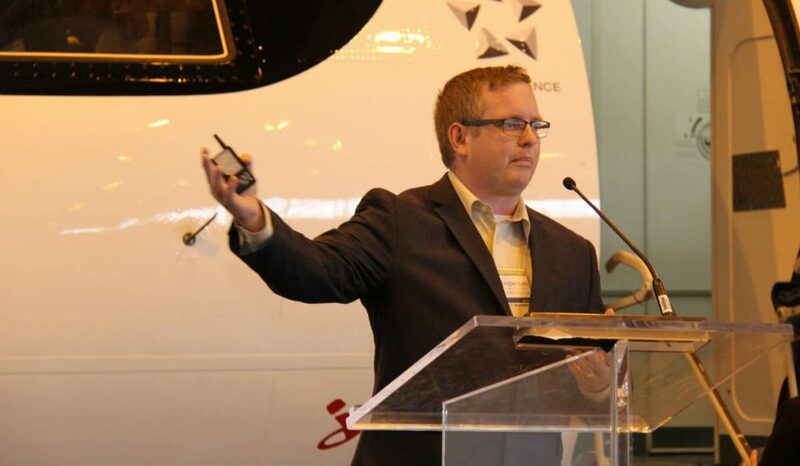 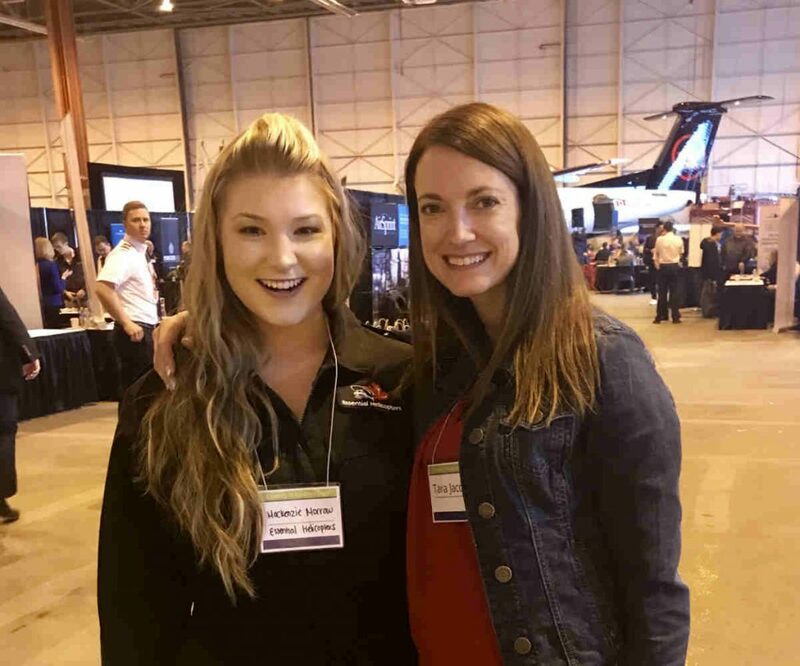 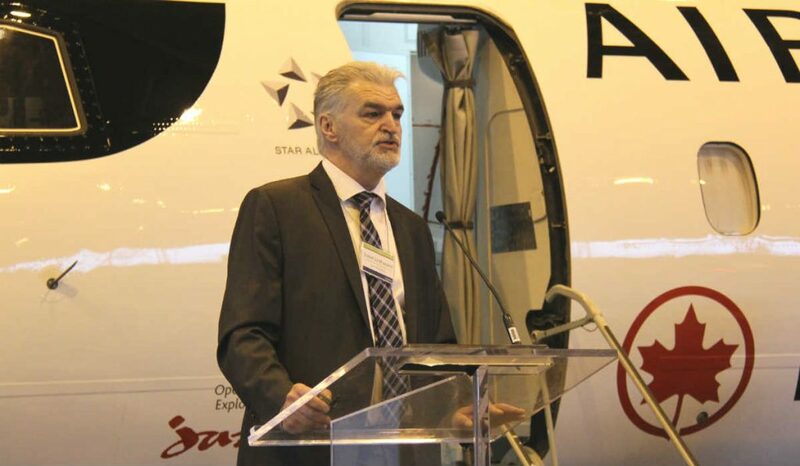 The day also featured six educational sessions focused on the future of the workforce in Canadian aviation, kicking off with a keynote by Steve Linthwaite, Vice-president, Flight Operations, for Jazz Aviation LP. 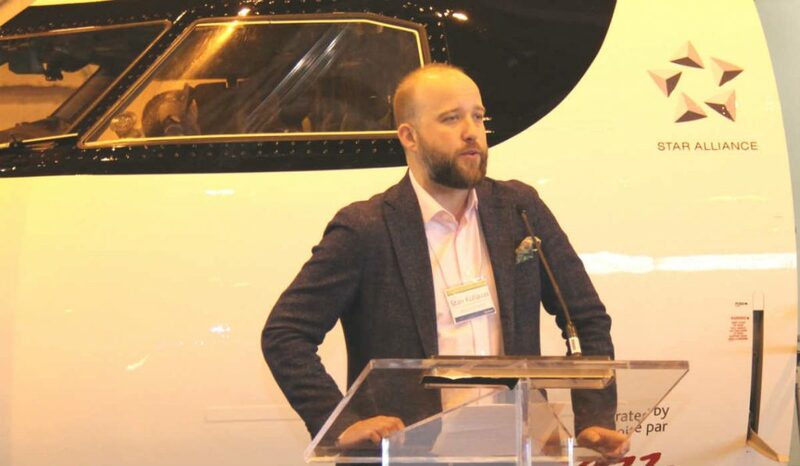 He was joined on stage by Dwayne Swartz, base manager for Jazz at Pearson Airport, who shared insight into the daily maintenance and management at one of Canada’s busiest hangers. 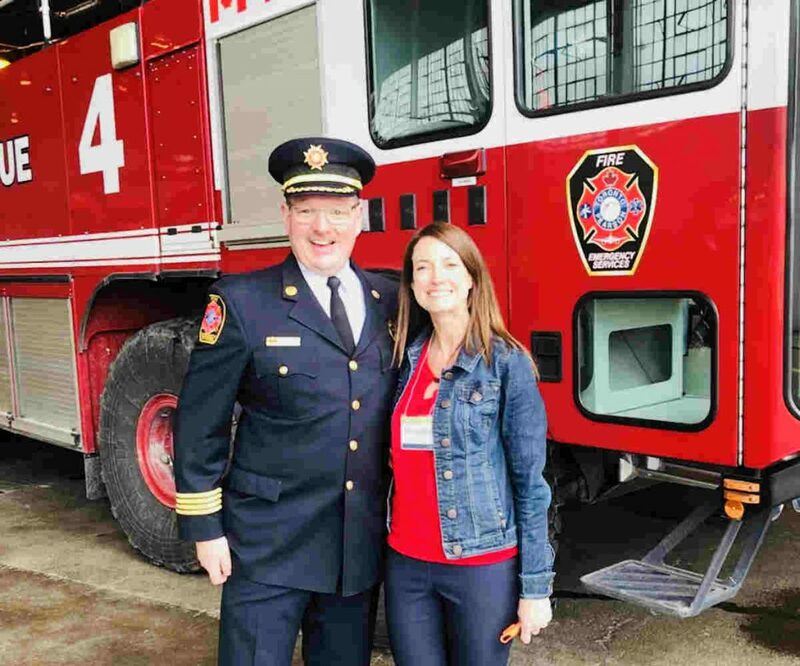 Jim Armstrong, Helicopter Pilot and Assistant Chief Flight Instructor with Essential Helicopters of North Bay, Ontario, then discussed the challenges and opportunities of developing a career in the rotary world. 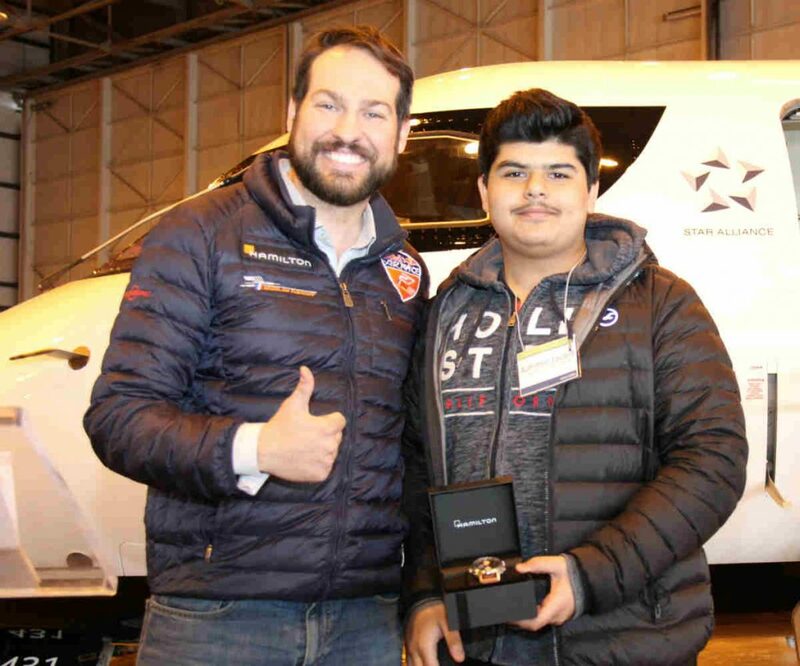 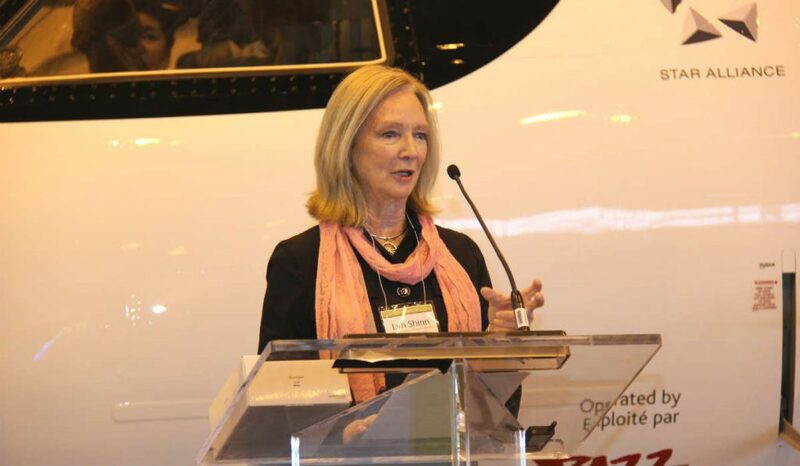 Business aviation opportunities were then presented by Skyservice’s Lyn Shinn, vice-president, central region and pre-owned aircraft sales; followed by Stan Kuliavas, vice-president, sales & business development of Levaero Aviation, who also touched on the dynamics of business jet sales. 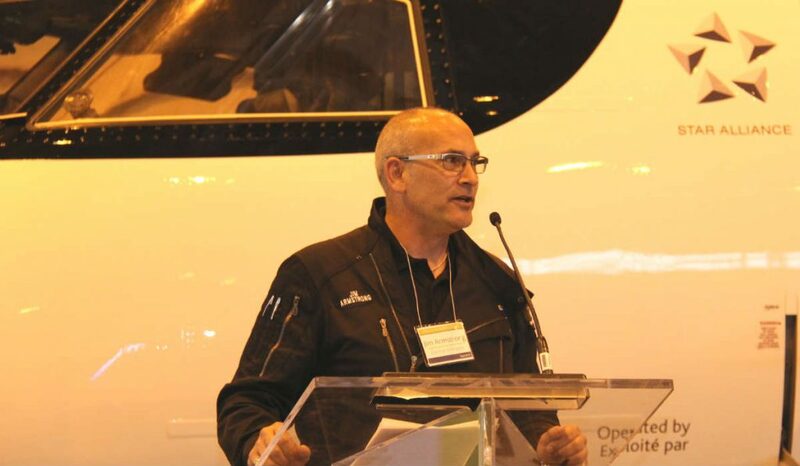 Tim Anderson, owner of Anderson Aviation Services, who is also a professor with Fanshawe College, Norton Wolf School of Aviation, began the afternoon discussing maintenance, avionics and entrepreneurship in Canadian aviation.
. Duchsher was then joined by her colleagues Erin Grant, Air Canada 767 first officer and Jake Kelly-Cuthbert, Jazz CRJ first officer for a Q&A session. 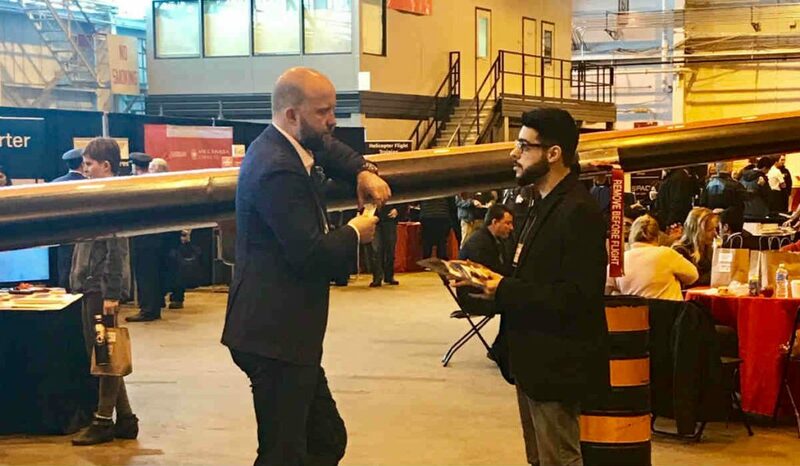 The day was capped off by a prize draw, as Thomas Sandrin, Brand Manager, Hamilton Watches Canada, picked a name from hundreds of ballots to present a Khaki X-Wind watch.